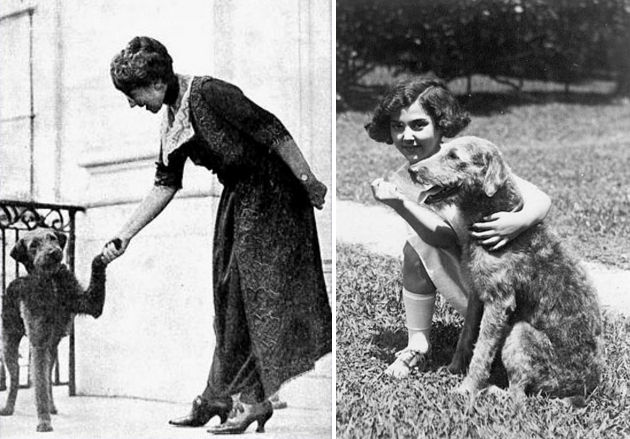 LEFT: Florence Harding and Laddie Boy. 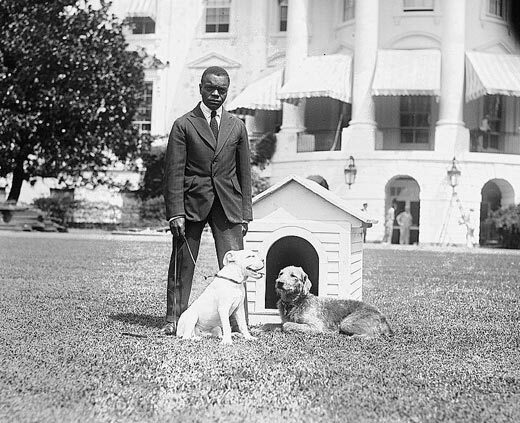 Photo from The Library of Congress. 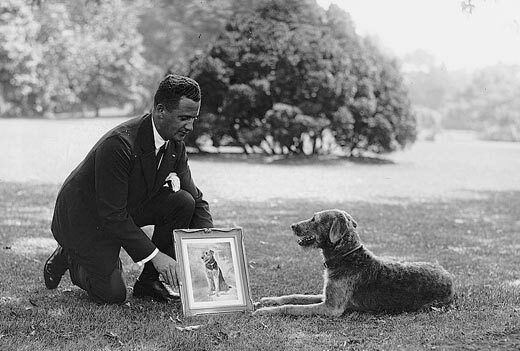 As First Dog, Laddie Boy was worthy of an official portrait. 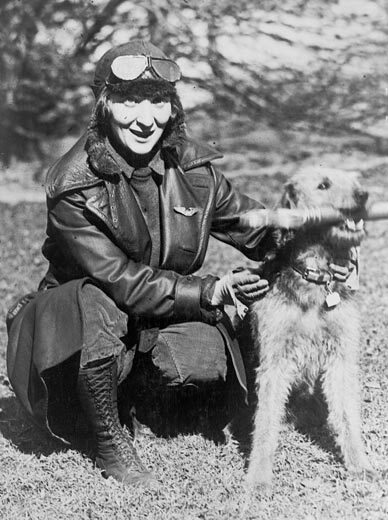 An unidentified aviator engaged Laddie Boy in a game of fetch. Durst annual parade. 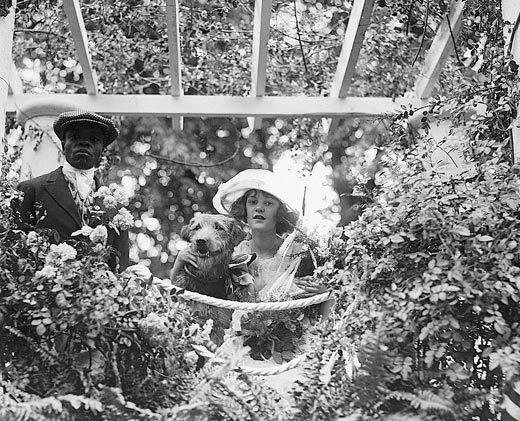 Laddie Boy and Isley Randall. 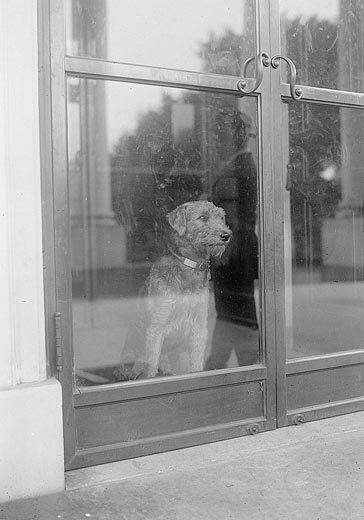 Laddie Boy gazes pensively through a White House door the day before President Warren Harding died in San Francisco. 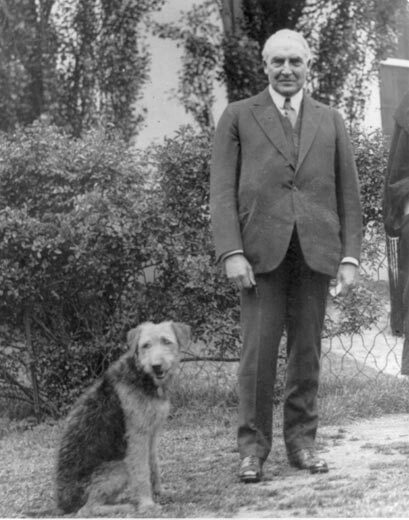 President Harding didn’t seem to mind at all that his dog had interrupted a White House photo shoot. 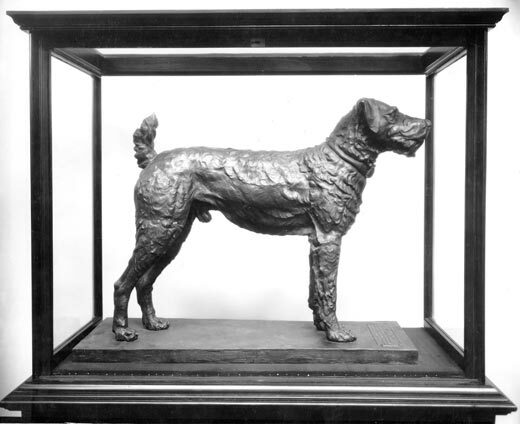 A life-size sculpture of Laddie Boy is part of the collection of the Smithsonian Institution’s National Museum of American History (the artifact is not currently on display). Crafted by sculptress Bashka Paeff, the statue is made from more than 19,000 pennies donated by newsboys. 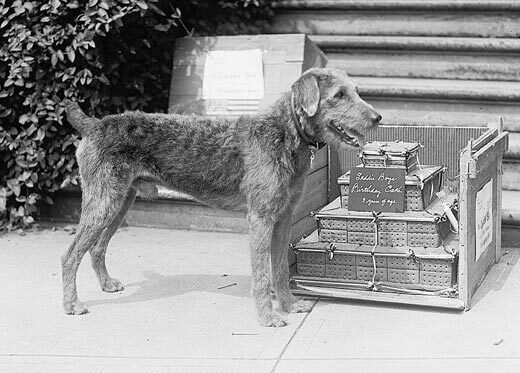 what happened to Laddie Boy’s collar? It seems that this gold collar was stolen in 2012. Excellent topic for a blog post — we’ll be writing something soon. Thanks. The child star’s name is Miriam Battista.